Metroplaza has two 35-storey office towers and a five-storey retail podium, offering easy access to the container terminals, Hong Kong International Airport and the mainland. 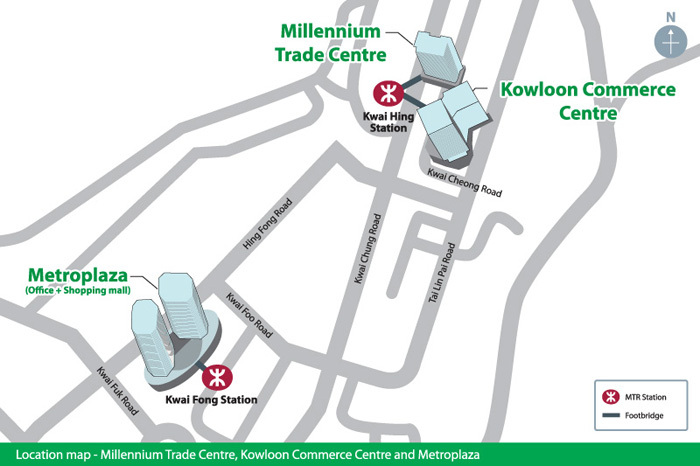 Millennium Trade Centre is strategically located at a key transportation intersection in West Kowloon, providing easy access to the container terminals. Kowloon Commerce Centre Tower A is a premium office development linked to other parts of the territory by convenient railway connections. 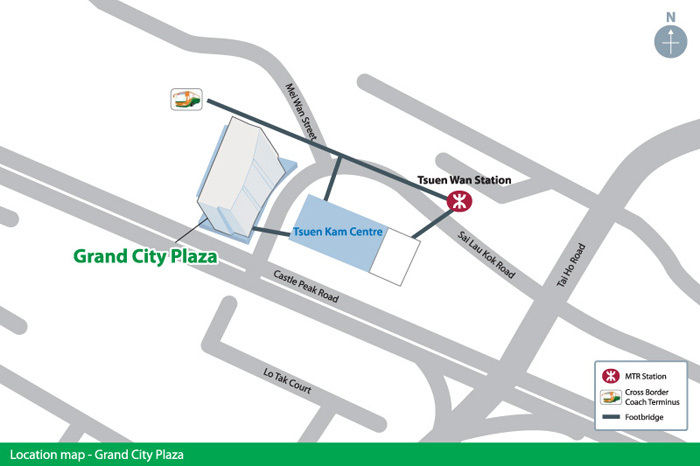 Grand City Plaza is conveniently located near the Lantau Link and Route 3 for easy container terminal access. Grand Central Plaza includes two 16-storey office towers and a four-storey retail area. Located in the heart of Shatin's commercial and cultural centre, it offers easy access to New Town Plaza and The Royal Park Hotel. 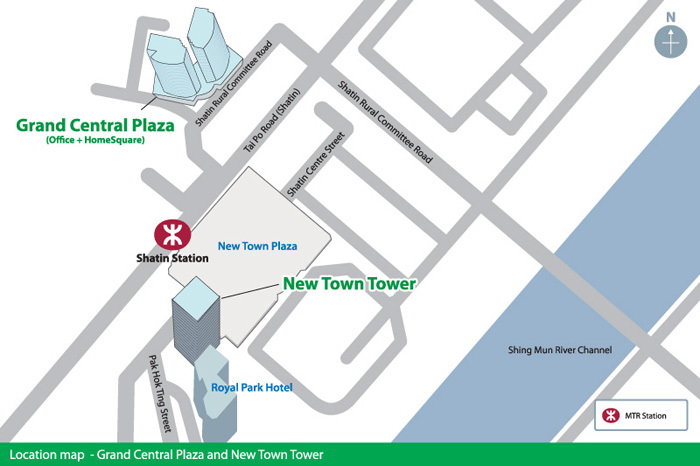 New Town Tower is located in the commercial and cultural centre of Sha Tin with easy access to New Town Plaza and The Royal Park Hotel. 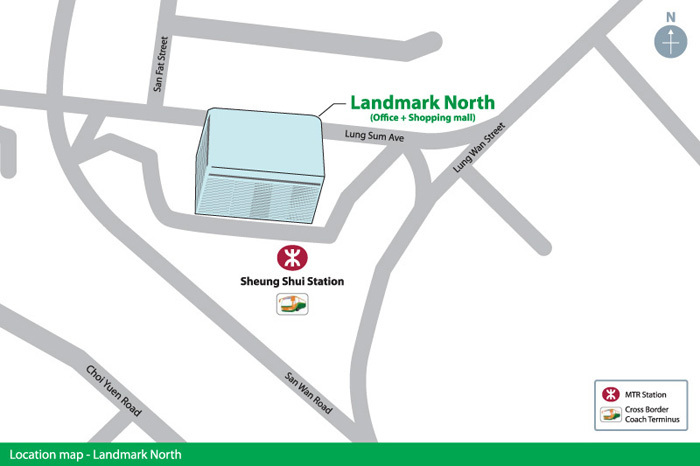 Landmark North is a commercial complex with office and retail space near MTR Sheung Shui Station for easy business travel to the mainland.